Kyerivs colored hair extension are affordable ,lightweight,and easy to apply,these color extension snap into your hair and can be taken out in a matter of seconds.High quality synthetic fiber,DIY your look you want ,and instant highlight without any chemical dye to damage your hair ,it is a perfect accessory for special occasions which can make you stand out from the crowed. 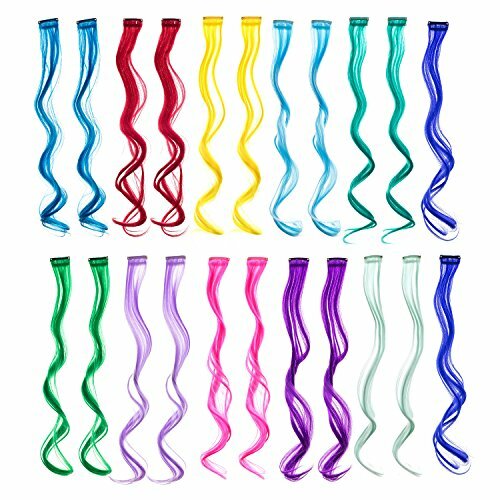 Specification Material:high quality synthetic fiber Quantity:24 piece Color :12 colors (as shown in picture) Length: 22 inches Safety:without any chemical dye damage your hair and health Instructions for curls 1.you can curl your extensions when the temperature is set to the lowest setting 2.The most recommend way is using the hair-curlers to set the shape of the extension after dipping the extension in hot water (not boiling hot).leave them to dry naturally,and remove the curlers once the extensions dry,.your extension should now be curly. Note： 1. Don't wear your extensions to swim in, this will tangle them and dry them out. 2. You can curl or trim them to DIY your own hair style. 3. Be sure to take your extensions out before going to bed, carefully clip by clip to avoid damaging your own hair. Pressure Sensitive Clips- Easy to operate, causes no damage, and is non-permanent. Instant 'highlight' blending with your own hair without chemical treatment! 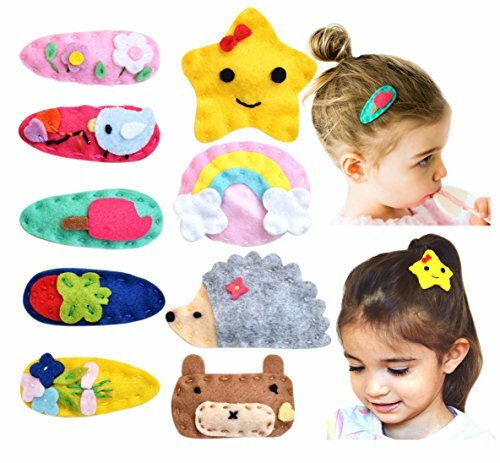 Great short term using for daily hair beauty, birthday party, theme party, Halloween costume. 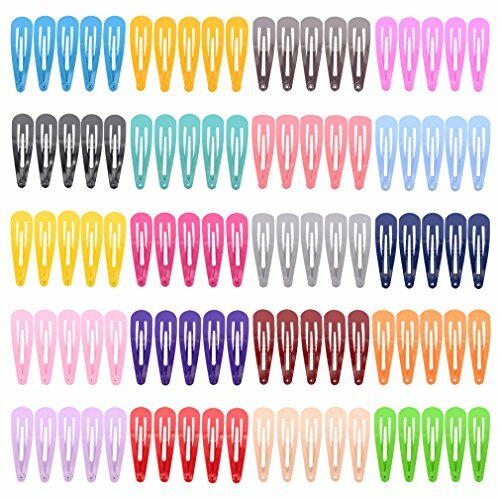 Clips opening and closing instructions: With the clip side of the piece facing you, put both thumbs on each side of the clip and the index fingers at the front sides. Snap the clip open by applying pressure toward yourself with the index fingers. Similarly, close the clip by applying pressure away from yourself with the thumbs. Clip in/on hair extension apply instructions: Separate the hair. Using a tail comb or your index fingers, part the hair horizontally from one side of the head to the other. 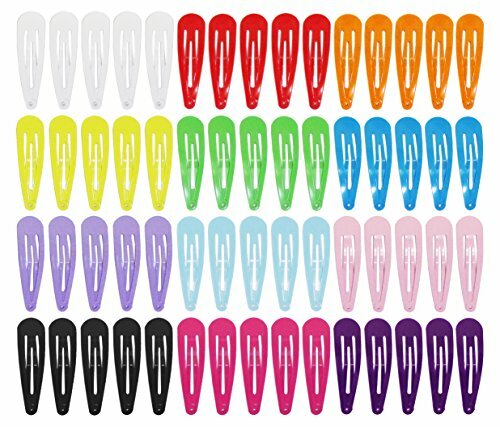 Placement of all clips on your hair. Finishing the look. Release all the hair and blend in with Clip-in Extensions. Color difference Notice: Due to different computer monitor's color settings, Very slight Color difference may occur. Style: Straight Material: High Temperature Kanekalon Synthetic Fiber with a snap clip Feature:Light weight and natural look A perfect item as gift or adornment. 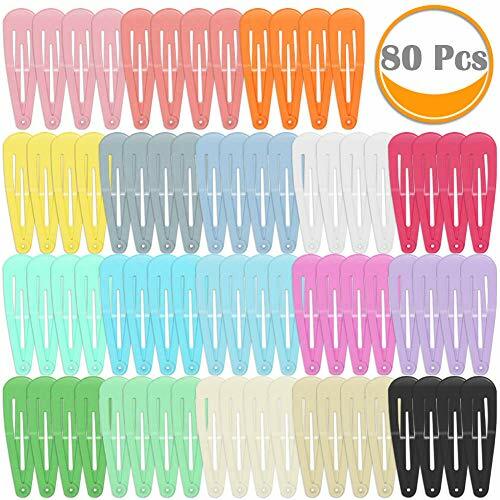 Very easy to use, just clip it on hair. Safety, without any chemical dye to damage your hair & health. 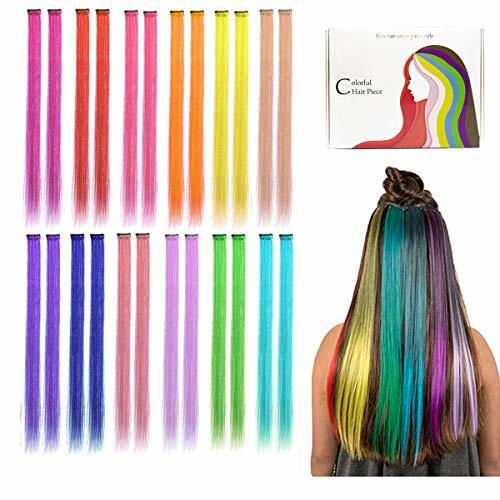 Length:22'' (55cm) Width:1.18" (3cm) Quantity：24Pcs Colours include: green,red,yellow,coffee,golden yellow,pink purple,orange,white,sky blue,mei red,purple,grace purple...... ....Click "Add to Cart" above to experience this Straight Hairpieces! ! 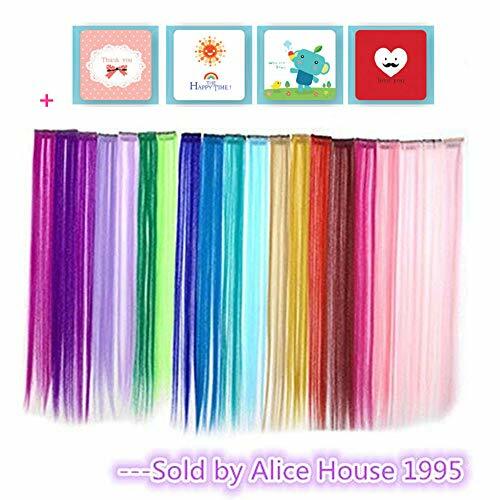 Package included:24 Pieces of Multi-Colors Clip In Synthetic Hair Extensions+Free Gift CardWarming Tip: This product only sold by 'Alice House 1995'. We strive to have the best customer service possible! If for any reason you are unhaapy with your purchase or your wall decal,please contact us! We appreciate every customer and every order is important for us! All designs are done by a mom in Irvine, California. Thank you for supporting our small business! We believe in our design and quality and want to make sure you are super happy with your purchase. We are committed to 100% satisfaction. 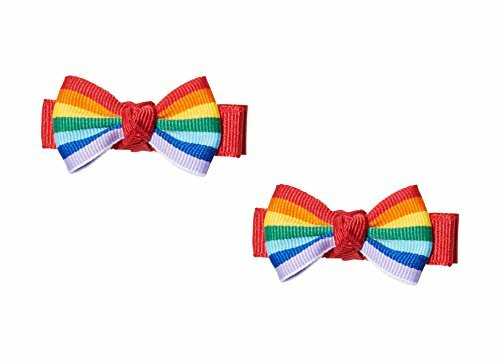 Note that hair accessories could pose a suffocation risk or choking hazard. Babies and infants should not sleep with or be left unsupervised with the accessories. Hi everyone :) Here is an easy video, great for beginners but not just ;) Enjoy, Daniule. My instagram: Daniule_Smile Crafty Amino: Daniule_Smile The music in this video is original by my boyfriend - all rights reserved to us.